EDAA’s OBA Self-Regulation Programme extends into Mobile. 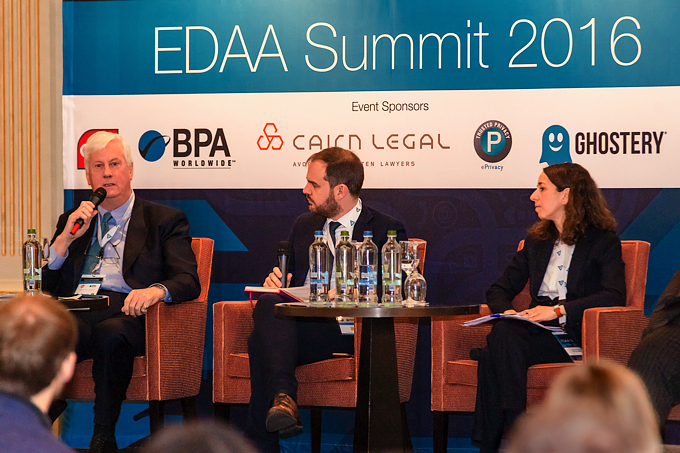 Mobile Principles launched at first ever EDAA Summit on 1 March 2016. Brussels, 1 March 2016 – The European Interactive Digital Advertising Alliance (EDAA) announces today the launch of new Mobile Principles, adapting the EU Self-Regulatory Programme on Online Behavioural Advertising to the mobile environment. to tailor ads to Internet users based on their interests. The new Principles, as developed by IAB Europe, builds on the existing Self-Regulatory Principles which apply in the desktop environment. The Consumer Choice Platform at www.youronlinechoices.eu is already optimised for mobile browsing. Going forward, companies in the mobile advertising space will be required to provide enhanced notice and choice to consumers with regard to their OBA practices, through the well-recognised ‘OBA Icon’, and Consumer Choice Platform. A pan-European consumer choice mobile app will be released to improve the user experience when exercising choice on mobile. Companies’ mobile ad operations shall also be subject to the compliance and enforcement mechanisms under the Self-Regulatory Programme. Beyond the mobile extension, EDAA’s first ever Summit today sees high level debate around the key policy and business challenges for the online advertising industry in promoting transparency and control towards consumers. Recent research, communicated at the Summit, shows brand advertisers and consumers value ad self-regulation. Today’s evolution of the European Self-Regulatory Programme demonstrates once again the ability to balance regulatory and non-regulatory means for the benefit of consumers and businesses alike.